Good Dream Hostel is the best hostel of the world. 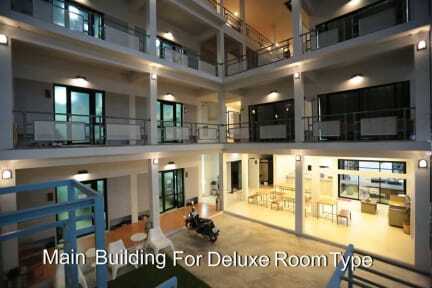 It's super good, super clean, very best staff, wonderful location, reasonable price. The best hostel ever. This is one of the nicest hostels I've ever stayed in! It feels like a hotel if you get the premium bunk rooms. The only thing is I wish there were lockers in the rooms instead of the tiny safes. I met the people in my room and ended up hanging out with them but otherwise the scene at the hostel wasn't super social/I didn't see people just hanging around very much. But Koh Tao is small so just go out to the bar crawl and you'll meet tons of people there if that's what you're into. Good location, a few minutes walk from the beach and from the all restaurants, bars and shops. Clean. Not the best place to meet other travelers, but I would stay here again. Stayed in one of the deluxe dorms, room was really clean and safe for your valuables however no bag lockers. 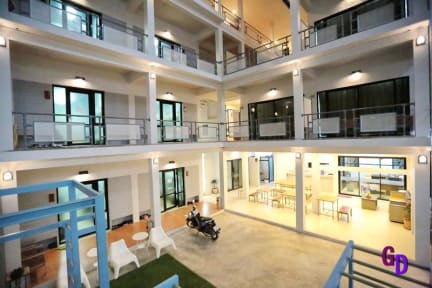 Staff were really friendly and you’re a very short walk away from the restaurants and bars, slightly longer to get to from the port than other hostels in the area. Worth a stay. Staff were really nice and helpful. Good location 5 minutes from the beach and restaurants. Rooms were really small. Left a little bit disappointed due to aircon leaking in the room and just a tiny safe to put valuables in however the staff were friendly.